Steve Dolan is a worthy successor to the Hudson River Painters — so much so that this New Hampshire native, when he first visited the Mountain Top area of the Catskills, was so taken with it that he decided to move to Hunter and pursue his passion for painting the spectacular (his word) scenery he found there. Now his long hours of creativity have come to fruition in a new exhibit at the Kaaterskill Fine Arts Gallery, Main Street, Hunter. 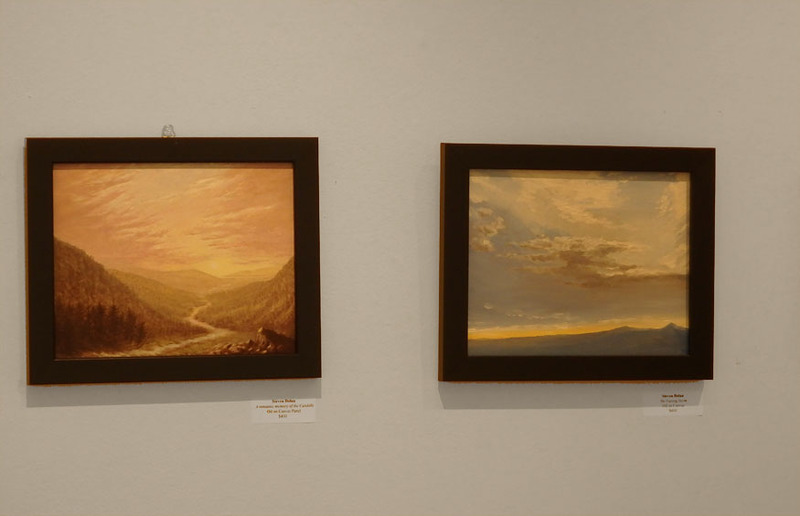 Entitled “Atmospheres of Hunter and Beyond,” Steve’s exhibit features a generous selection of his paintings mostly from the region around Hunter but also a few from the White Mountains of his native New Hampshire. You can read an interview with Steve on the Catskill Mountain Foundation’s website and learn more about his background and what inspires him as an artist. The Hudson River Painters are clearly an influence — I thought particularly of Thomas Cole and especially some of his more “fantastic” (my word) paintings. But let me not waste time trying to describe Steve’s extraordinary work — I took a couple of quick photos when I stopped in last week just after the show had been hung, and I hope they will give you some idea of his approach to his art, but most of all, I urge you to go and see his show. 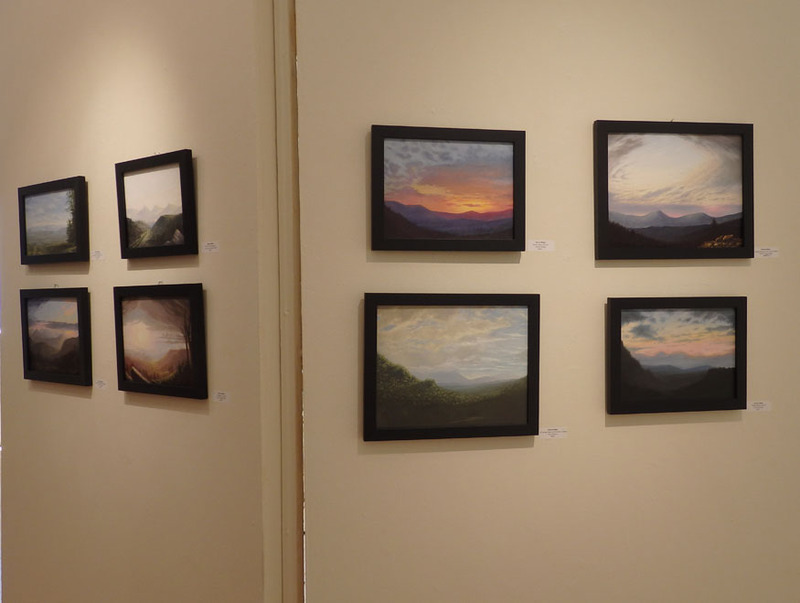 It’s at the Kaaterskill Fine Arts Gallery between now and July 5, with an opening reception this Saturday May 30 from 2 to 4 pm and an art talk on June 20 from 1 to 2 pm. Click here to read the details, including the interview with Steve and information about opening times. “Atmospheres of Hunter and Beyond” — don’t miss it. 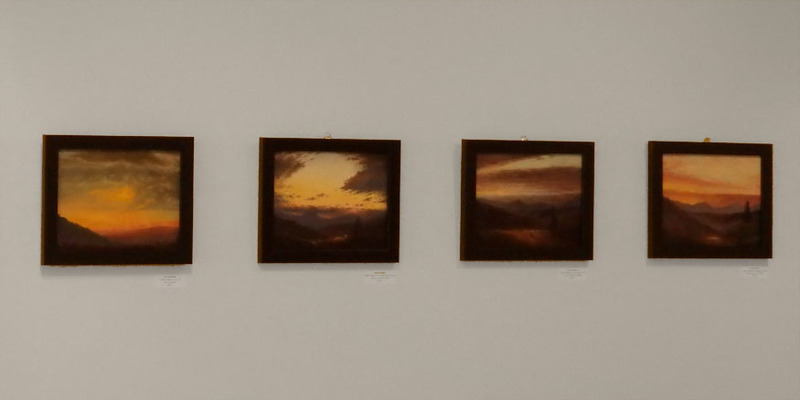 This entry was posted in Uncategorized and tagged Atmospheres of Hunter and Beyond, Catskills, Hudson River Painters, Hunter, Kaaterskill Fine Arts Gallery, Steve Dolan, Thomas Cole.